Like many companies, RayLen Vineyards automatically tracks the usage of our website. We profile website usage by tracking the pages viewed, the frequency of visits, the browser used ISP and the region our visitors come from. This information is used to analyze trends, track use, and optimize site administration and is not tied to any identifiable person or account. For visits only your activity is anonymous. When a credit card order is placed on our website, your name, billing address, shipping address, telephone number, credit card number and expiration date are gathered. This is used to verify payment authorization, process your order, personalize your shopping experience, inform you of deliveries, deliver the merchandise to the proper destination and generate statistics. RayLen Vineyards takes numerous precautions to protect your information. When you submit sensitive information via the website, the information is protected both online and offline. 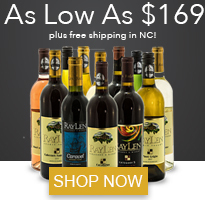 For all purchase information, RayLen Vineyards uses Secure Socket Layer (SSL) underneath HTTP, providing an encrypted channel and server authentication, so that all such information is transmitted through a secured server connection. Before your order is processed online, your browser will make a confirmed identification that the transmission of all data is being made between your computer and with RayLen Vineyards. While we use SSL encryption to protect sensitive information online, we also take several steps to protect your information offline. All of your information, not just the sensitive information mentioned above, is restricted in our offices. Only employees who need the information to perform a specific job (for example, our billing clerk or a Customer Service representative) are granted access to personally identifiable information. If you have any questions about the security of our website, you can email us at erin@raylenvineyards.com or call us at (336) 998-3100. RayLen Vineyards is the sole owner of the information collected on this site. RayLen Vineyards collects information from you at several different points on our website. As a purchaser, you should expect to receive an email confirming your order, an email confirming your shipment, an electronic receipt and a paper receipt (which accompanies your order). 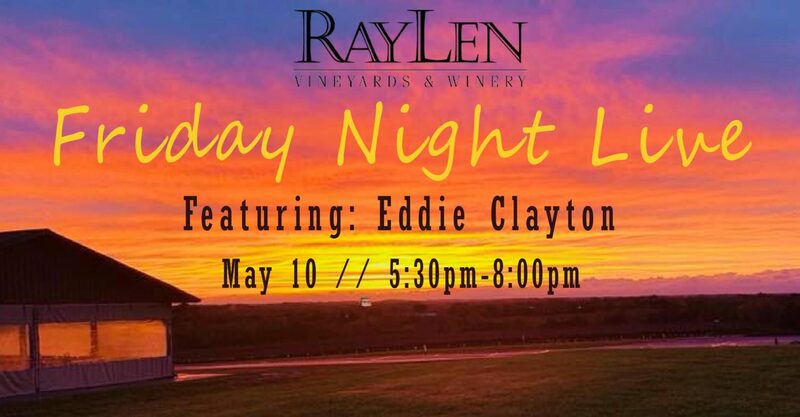 As a customer of RayLen Vineyards, you have the option to receive RayLen Vineyards newsletters via email. We also communicate with you on a regular basis to provide requested services. We reply to your inquiries on issues relating to your account via email or phone. For instance, when you use the “Contact Us” link, we use this information solely to respond to your questions and comments and to improve our customer service. On rare occasions, it is necessary to send out a strictly service-related announcement. For instance, if we discovered an error during your visit to our site that prevented you from completing a purchase, we might send you an email to let you know our site is back in service. Generally, you may not opt-out of these communications and they are not promotional in nature. However, you may deactivate your account. 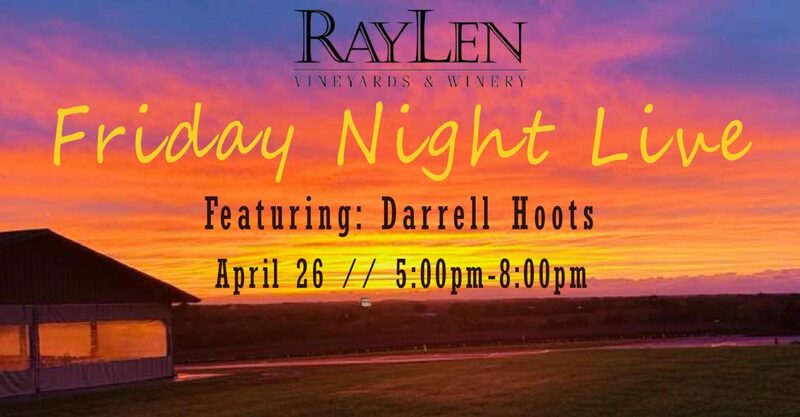 At registration, you may opt in to receiving newsletter communications from RayLen Vineyards. 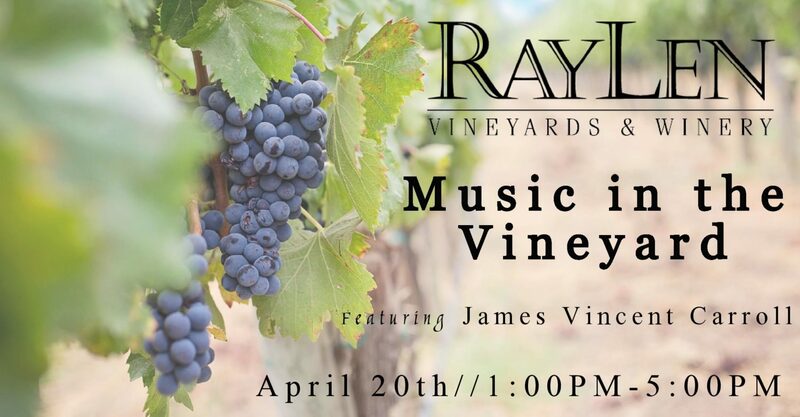 After registration, you may also opt out of receiving communications from RayLen Vineyards by clicking the ”Unsubscribe“ link provided in our emails to you, emailing us erin@raylenvineards.com or by calling us at (336) 998-3100. Please allow up to 3 weeks to process your request. RayLen Vineyards’ website may have links to other websites on the Internet that are not owned or controlled by RayLen Vineyards. We are not responsible for the privacy policies or the content of these websites, nor does this mean that RayLen Vineyards endorses them in any way. Further, you authorize RayLen Vineyards to disclose your password, name, street address, city, state, zip code, country, phone number, email address and company as we, in our sole discretion, believe necessary or appropriate in connection with an investigation of fraud, gray market, intellectual property infringement, piracy or other unlawful activity. Specifically, this includes exchanging such information with other companies and organizations for fraud protection and credit risk reduction. RayLen Vineyards cooperates with law enforcement inquiries and other third parties to enforce laws, intellectual property and other rights. If your personally identifiable information (such as zip code, phone, email or postal address) changes, or if you no longer desire to belong on our mailing list, we provide a way to correct, update or delete/deactivate your personally identifiable information. 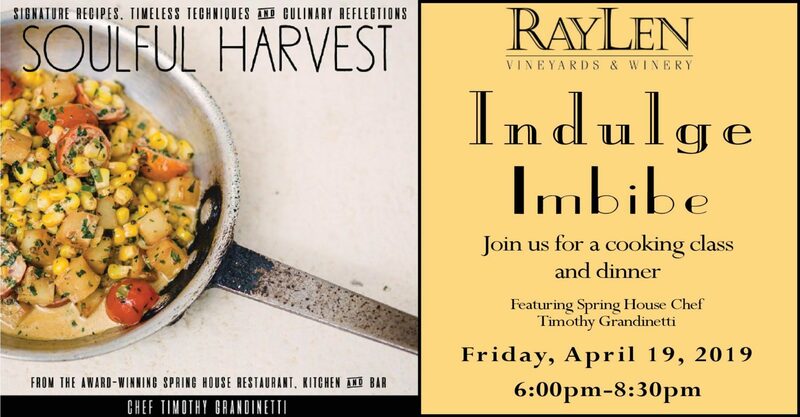 This can usually be done online or by emailing erin@raylenvineyards.com or calling (336)998-3100. Cookies are not used to store any personal information such as name, address or payment information. If you do not accept or if you remove our cookies, you will not be able to make a purchase on our site. However, you may still call to place your order at (336) 998-3100. TO THE MAXIMUM EXTENT PERMITTED BY APPLICABLE LAW, RAYLEN VINEYARDS SHALL NOT BE LIABLE FOR ANY DAMAGES OR ANY LOSS, WHETHER INCURRED DIRECTLY OR INDIRECTLY, OR ANY LOSS OF DATA, USE, OR GOODWILL, OR OTHER INTANGIBLE LOSSES, RESULTING FROM YOUR ACCESS TO OR USE OF OR INABILITY TO ACCESS OR USE THE SITE OR ANY CONDUCT OR CONTENT OF ANY THIRD PARTY ON THE SITE. We’re always looking for ways to improve our site’s features and services and to improve the way we communicate our information practices. As a result, these policies are updated from time to time. We encourage you to periodically review this page for the latest information on our privacy practices.